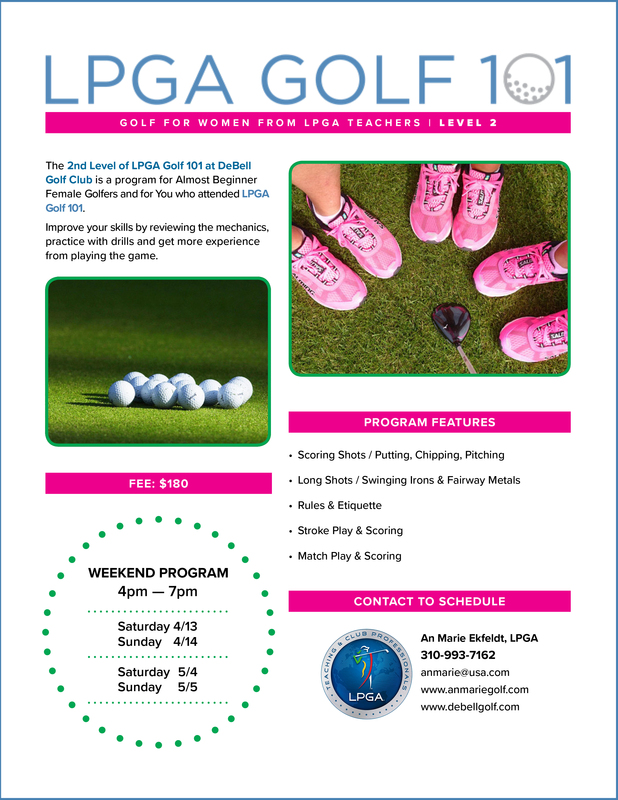 The 2nd Level of LPGA Golf 101 at DeBell Golf Club is a program for Almost Beginner Female Golfers and for You who attended LPGA Golf 101. Improve your skills by reviewing the mechanics. Practice with drills and get more experience from playing the game.